Featuring a very straightforward style, the most highlight of this combine of lovable bangles is that the inexperienced AD stone work, another identifying facet of the bangles is that the mesh like aspect pattern. 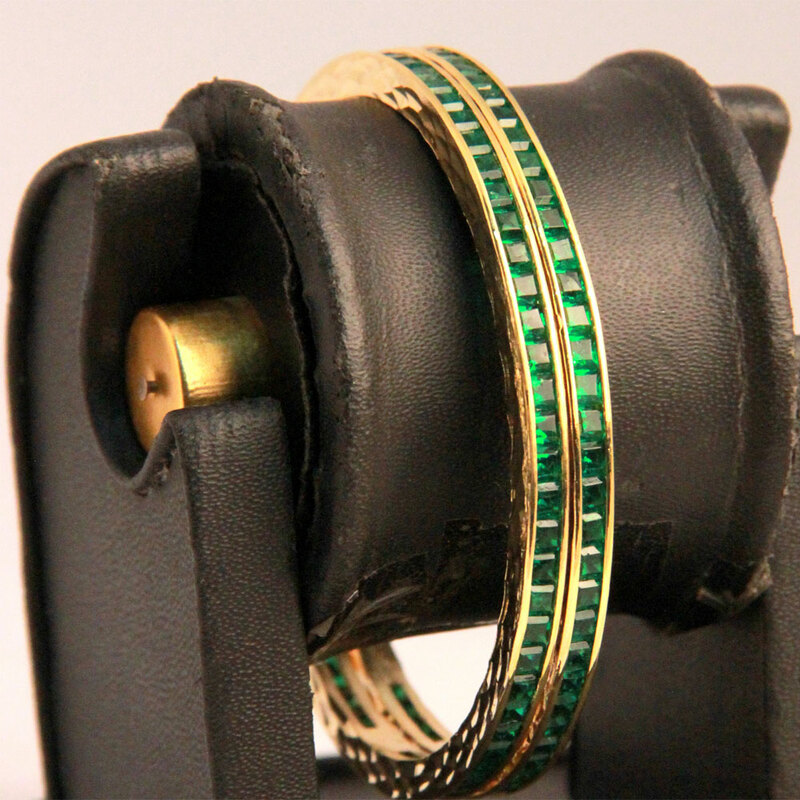 Featuring an extremely simple design, the main highlight of this pair of adorable bangles is the green AD stone work that has been placed like Read More..a top layer on the gold plated brass metal circumference of each bangle. Another distinguishing aspect of the bangles is the mesh like side pattern. Show Less..